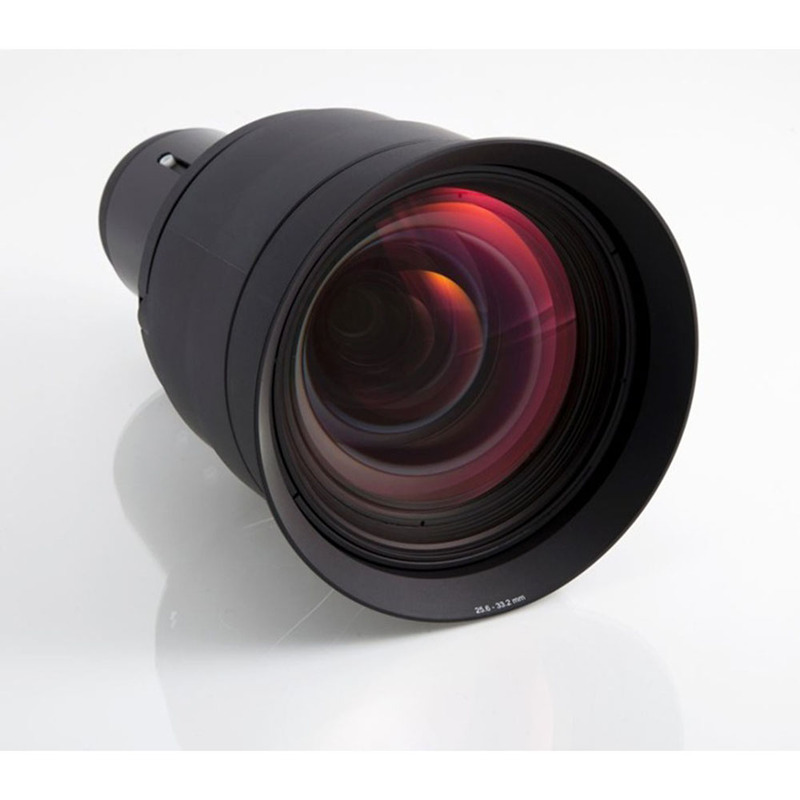 The Barco R9801228 Wide Angle Zoom 1.24-1.6:1 WUXGA Lens (EN13) from Barco is specifically designed for the CNWU-61B Single-Chip DLP Projector, the FL33 Series, and the F32 Series projectors. Installing a wide angle zoom lens affords greater flexibility since you can alter the projection distance without actually moving the projector. This is convenient for permanently installed projectors. You can compensate for miscalculations during installation and it's possible to adjust your display proportions depending on class size or type of presentation.